Oh where, oh where has the offense gone? 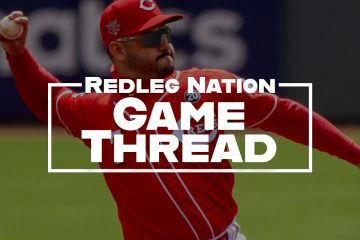 The Reds (66-90) will try to solve their offensive woes and earn a series split with the Marlins (61-93) in the final road game of the season this afternoon at Marlins Park. First pitch is at 1:10 ET. Michael Lorenzen gets his second start of 2018 this afternoon and will continue to try to prove to the Reds that he deserves a chance to start next season. He did a decent job of that in his outing in Milwaukee last Tuesday, pitching four innings and giving up one hit and one run while striking out three and walking one. Don’t expect him to pitch deep into the game, however, as he’ll be on a limited pitch count. Lorenzen’s 10.0 BB% is a little high, and that is also reflected in his 3.79 BB/9. Thirty walks in 71.1 innings is not a good thing. But he’s also inducing ground balls, with a GB% of 48.8%. That percentage is actually on the low end for him, as it’s been as high as 63% in the past, but being close to 50% is still very ideal, especially when his GB/FB ratio is 1.84 and his HR/FB percentage is 8.9%. Working out of the bullpen means Lorenzen hasn’t faced too many Marlins players (and the fact that the Marlins have many new players), so it’s a little surprising that Derek Dietrich has 10 at-bats against him. Trevor Richards made his MLB debut for the Marlins on April 2 against the Red Sox, giving up five runs in 4.1 innings. He pitched in Miami through April, got sent back down to Triple-A in May, and was recalled to the Marlins in the beginning of June. He’s been with the big league club since, and while he’s had some good performances, most have been not great. In September, it’s been more down than up for him, pitching 11.1 innings in three starts and giving up 14 runs on 16 hits and walking six. While Richards has struck out 113 in 112.1 innings, he’s also battled with a lack of control, walking 51 batters. His BB/9 is 4.07. Richards throws three pitches–fastball, curve, and change up. He only throws his curve ball 13% of the time, choosing instead to throw the fastball and change up much more. His average pitch speed for his fastball is 90.8 mph, and in the low-80s for his breaking pitches. You can find the lineups here. -The Reds have lost 90 games in four straight seasons. Catch that positive momentum! #Reds fall 5-1…… their 90th loss of season (66-90). That's four staight seasons of at least 90 losses for first time since five staight from 1930-1934. -Be sure to watch the Fox Sports Ohio pregame on Tuesday to see Jeff Brantley get a pie in the face after Mississippi State lost to Kentucky Saturday night and he lost a bet with Jeff Piecoro. I watched a clip of the Atlanta Braves clinching the NL East yesterday afternoon and found myself becoming jealous of that team. It’s a team that is very similar to the Reds. They last made the playoffs in 2013, but started a rebuild soon after, lost 90 games each season from 2015-2017, and are back in the playoffs after five years. Yes, the NL East is not as tough as the NL Central, but it only took the Braves three years to rebuild. 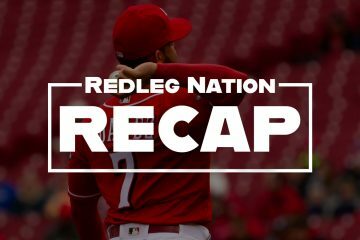 The Reds are still losing 90 games, and if the pitching doesn’t get better, it will be another long season in 2019. Hard, crucial decisions will have to be made within the Reds front office this off season. The Reds are becoming an afterthought in baseball and in the city of Cincinnati itself. And that’s a sad thing to see. If they are ever going to right the ship, a new ownership must take over, Go Reds! Change for Next year, Schebler will be LF next year, Winker in RF. What does this mean for Senzel? We’re making history left and right! Every time you turn around, we’re breaking a record. Interesting look-ahead for CF position in 2019. Assuming Schebler and Winker are locks for the corners, IÃ¢â‚¬â„¢d say itÃ¢â‚¬â„¢s for Senzel for grabs, with Ervin as the 4th OF. Hamilton should be non-tendered and Williams released, resigned and reassigned. Not arguing your overall results but Hamilton has some trade value and should be traded rather then non tendered ( i would say an AL central team) …williams will be non tendered. Sign and trade Billy Hamilton? To the AL Central? Really? Indians have Naquin and Zimmer. The other 3 teams in long rebuilds. Hamilton is an aging 1.2 WAR (this year and last) player. One year left before FA. If the Reds want to humor Big Bob and bring him back for 2019…that’s Mickey Mouse running of a business, but I understand how it happened. Bringing Hamilton back just to try and flip him for something significant? Not a good strategy, IMO. I’m just going to go ahead and plan for Hamilton to be the starting CF and Riggleman making out the lineup. Senzel will be in Louisville learning to play LF. My disappointment will be much less if I just accept this now. A team will sign Bily if we just non tender him, period. Better to get something for him then nothing. AL central was Spitballing. For a bunch of Armchair Generals, who claim to have all the solutions to the Reds Woes, you seen woefully ignorant of actual requirements of running a team, especially one with limited means compared to its peers. Billy to Detroit, Minimal return, with the intent for Detroit to eat the salary, im not going to waste my time with the explanation but it makes sense. Just looking at the PBP. I see the Reds’ stellar defense is doing things again today. At the risk of sounding like a broken record, if the Reds have any intention of winning, they absolutely cannot keep this infield intact. Purely from a defensive perspective. Reds organization has stated that the position players are pretty much set, no real reason to try anything different. This current version of the Reds is really working well. got as far as the part as you trying to give advice while admitting your not actually watching the game. Notice the first problem. Second problem, Perazza, third problem, Perazza’s replacement not being senzel or suarez allowing senzel to go to third. Walt Jocketty at the game on camera looking at a computer. Better explain “googling” to him first, baby steps, baby steps!!! The “sabermetrics” concept may require another 2-3 years. Just watching the cartoon channel. Nah…. He’s googling young speedy centerfielders. Hey, now. This is a family-friendly site. Who cares, in game management is for the field manager, who for the next week, will be Jim riggleman. I am off that bus, there are problems in that clubhouse, its pretty evident the players don’t want to play for him. He alienated the starting pitchers with the quick hook. Marty brennamen said a few weeks ago he holds players accountable… Far more than Price and more than any manager since Davey Johnson. He famously benched Winker saying the outfield rotation was over. That said….Riggleman isn’t the problem.. he simply reflects what the older philosophy of BC and Buddy Bell and WJ want. Price did the same . I’d like to see David Ross. The only good thing about today’s game is Lorenzen’s and Romano’s performance reinforce the fact that the Reds still need more pitching. I was becoming concerned a few good September outings would convince the front office that maybe the pitching would work out next year. Now in fairness, he is still the Interim manager, someone had to do it, and they have not dropped the title like they did in ST Louis. So there is not a Guarantee that he is returning, just that he is in the mix. ZZZZZZZ! Did the Reds Win? I fell asleep. The saddest thing about this team is that a great player like Joey Votto wasted his career here. WhatÃ¢â‚¬â„¢s the over-under on 90 plus losses next year? The only thing they have figured out in five years of rebuilding is that they have about six or seven guys that might develope into semi-good middle relievers. I used to end my Reds September with Ã¢â‚¬Å“there is always next yearÃ¢â‚¬Â but next year I will be rooting for someone else! The Winning Culture marches on! The Marlins are no longer the worst NL team. The Reds have given up and so have I. The fans must speak…LOUDLY!! A silly argument to have, but that’s where we are. You’re both right!